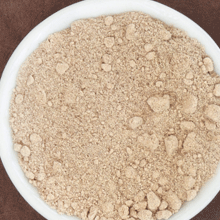 A blend of kombu, shiitake and yeast extracts spray dried on a tapioca maltodextrin carrier. This allergen-free vegetarian medley is designed to provide umami in a wide array of products. Soups, sauces/marinades, salad dressings, gravies, dips, seasonings, snacks,appetizers, entrees, breads/crackers, dressings/stuffings along with sodium reduction and enhanced umami applications. Works well in both vegan and meat-based products.